Samsung has updated their Smart Octopus on Samsung Pay advertising. 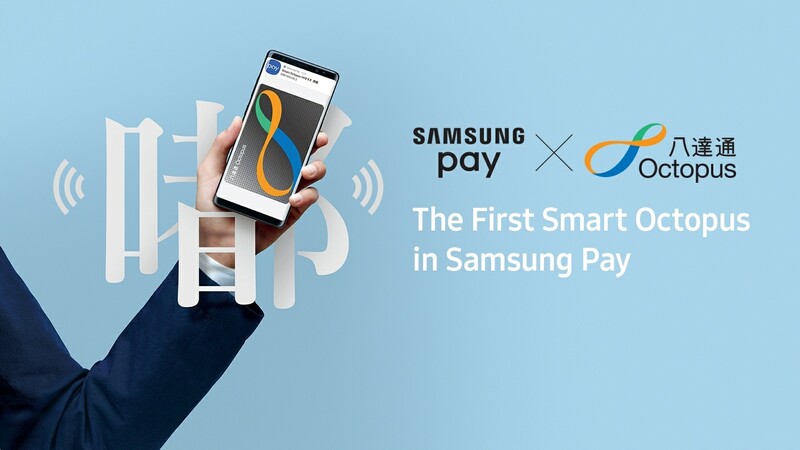 The tag line used to read “only on Samsung Pay“, the updated tag reads “First Smart Octopus in Samsung Pay“. The Samsung Pay Smart Octopus exclusive window is over. I think we are getting very close to a Smart Octopus Apple Pay launch possibly coming with the iOS 12.1.3 update. JR East posted a special maintenance schedule this month for Mobile Suica on 1/15, 1/22 and 1/28. The work appears concentrated on the Suica Recharge backend which hopefully points to improved Apple Pay Suica Recharge performance. I think it also points to something else: a iOS 12.1.3 release with Apple Pay Smart Octopus/Hong Kong transit directions for Apple Maps service around January 29 Cupertino time, early am January 30 in Hong Kong. The timing fits with a full beta test cycle wrap up but more importantly it fits as a kickoff for the Chinese New Year vacation period, good news for an important market to Tim Cook who desperately needs some good news right now. Go for it Tim! It will undoubtedly help Apple sell more global FeliCa iPhones because Smart Octopus on Apple Pay is a great marketing angle for the iPhone XR/XS models with Express Card power reserve and bulletproofed FeliCa performance. I have yet to experience a single Apple Pay Suica gate error from my iPhone XS with daily use since the launch date. It occurred to me after posting the above that Apple has introduced transit cards and the technology behind them with larger point releases: iOS 10.1 for Suica (FeliCa) and iOS 11.3 for Beijing and Shanghai Transit cards (Apple flavored PBOC 2.0 ED/EP). In this scenario iOS 12.2 is the logical starting point for Smart Octopus on Apple Pay. However, Octopus is FeliCa which has been part of Apple Pay for over 2 years, Apple has ample engineering and testing experience with the technology to add Smart Octopus with a smaller point release, or none at all which was the case with contactless student ID cards. The original source reports pointed to an end of January rollout, now that iOS 12.1.3 is released we will see how it plays out between now and iOS 12.2. Considering the Apple Pay Suica launch meltdown on iOS 10.1 update day, Apple would be wise to launch on a quiet network day as Smart Octopus Apple Pay day 1 user additions will far outstrip any regular credit card Apple Pay rollout, the use profile for prepaid transit cards is very different. Suica Express Card error flicker: occasional error flicker at transit gates with iPhone 7, iPhone 8, iPhone X (Rev. B) and Apple Watch 2~4. This is a completely different issue from the iPhone X NFC hardware defect. There is no workaround and will likely be fixed in an iOS update at some point…we hope. Dead Suica Notifications/No Suica Balance Update: Suica Notifications stop working and Suica Balance fails to update at transit gates, store readers and Suica recharges. This affects iPhone 7, iPhone 8, iPhone X (Rev. B) and Apple Watch 2~4 but is easy to fix by putting Suica in Service Mode for a few seconds. Slow or unresponsive Suica Recharge: this is probably more of a backend system issue between Apple Pay iCloud and Mobile Suica than iOS 12 but Apple Pay Suica recharge fails half of the time on the first attempt. This affects all devices and there is no work around except to try again. The Mobile Suica maintenance this month (January 2019) might help. Express Card power reserve mode kicks in with iOS up and running. This only affects iPhone XS and iPhone XR. Express Card power reserve mode kicks in for some reason when it should not. Suica still works fine but the Apple Pay Suica UI stops working. No notifications, no balance update, nada. Service Mode does not revive Suica notifications but the fix is simple: restart iPhone and all is good.